Ely S. Parker was born on the Seneca Reservation at Tonawanda in western New York in 1828. His parents raised him in the traditions of the League of the Haudenosaunee (also known as Six Nations or Iroquois), but also educated him at a Baptist Mission school. There, he took the first name of the school's minister and call himself Ely Parker. "Once or twice I have been severely abused. But I returned blow for blow with savage ferocity. Whether I gained the upper hand of my antagonist I leave the public to decide. For mind you, these quarrels were public. Bad business, but it could not be helped." The academy provided an excellent education, and the curriculum included Latin, Greek and science. Ely participated in numerous school debates and became the Academy's leading orator. His fluency in English enabled him to become the translator, scribe, and interpreter for the Seneca elders in their meetings and correspondence with the United States government. Following three years at the Cayuga Academy, Parker went to Washington, D.C. to lobby for the rights of the Seneca to remain at the Tonawanda reservation. Despite promises of support, a Senate Committee voted against the Tonawanda petition. At the age of 18, Parker moved to Cattaraugus County in western New York, where he commenced his legal studies in the Ellicottville law offices of Angel and Rice. But when he applied for admission to the New York bar, the New York Supreme Court ruled that only natural-born or naturalized citizens could be admitted to practice and, as a Seneca, he was neither. Parker then studied civil engineering at Rensselaer Polytechnic Institute, and when a project to extend the Erie Canal was approved, Parker received appointment as the resident engineer at Rochester, New York. Around this time, the Seneca proclaimed Parker as Sachem of the Six Nations and, with his attorney John Martindale, he continued the 20-year battle to preserve the homelands at Tonawanda for the Seneca by commencing four lawsuits against the Ogden Land Company and their grantees. One case was lost in the New York Supreme Court and a second on appeal to the New York Court of Appeals but, in the other two, both the New York Court of Appeals and the Supreme Court of the United States upheld the rights of the Seneca. These cases were Fellows v. Blacksmith and New York ex rel. Cutler v. Dibble. Dr. Stephen Saunders, Maxwell School at Syracuse University, wrote that the Supreme Court decision in the latter case “inspired a Senate Treaty, which permitted the Tonawanda Senecas to use a significant part of the resources set aside for their removal to Kansas to buy back over 7-thousand acres of the Tonawanda reserve. And to establish a permanent home for themselves, as it turned out, a permanent home for that tradition that everyone thought was going to die. This is Ely Parker's legacy." Parker then resumed his engineering career, and he became an engineer for the U.S. Treasury Department. In this capacity, he went to Galena, Illinois, to supervise the construction of the U.S. Customs Building. There, he met Ulysses S. Grant and a strong friendship developed between the two men. During the Civil War, Ely Parker was commissioned a lieutenant colonel and served as adjutant to Lt. Gen. Ulysses S. Grant. He was among the small cadre who accompanied Grant, then commander of U.S. forces, to the surrender of General Lee’s army at Appomattox. 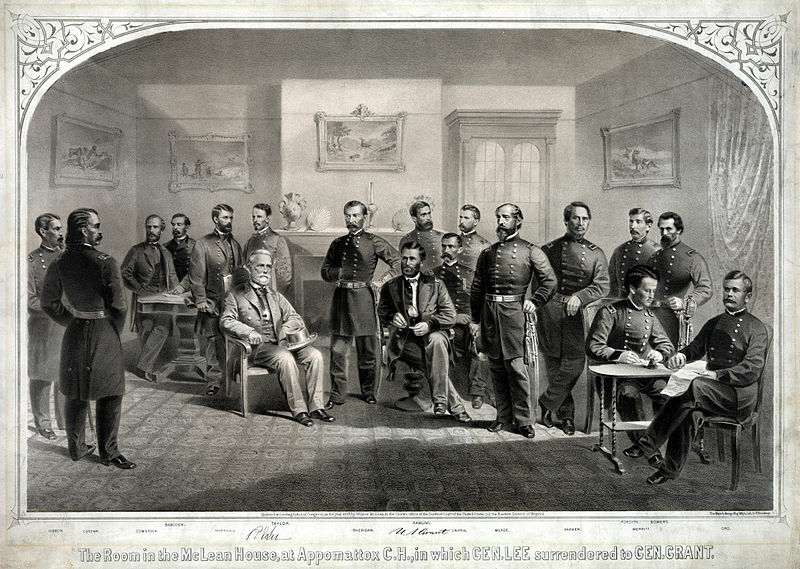 In one of the most significant events in the history of the United States, it was Ely Parker who wrote out the official copy of the terms of surrender which was signed by General Grant and General Lee. After the Civil War, Parker was commissioned as an officer in the 2nd United States Cavalry with the rank of colonel, and served again as military secretary to Grant. 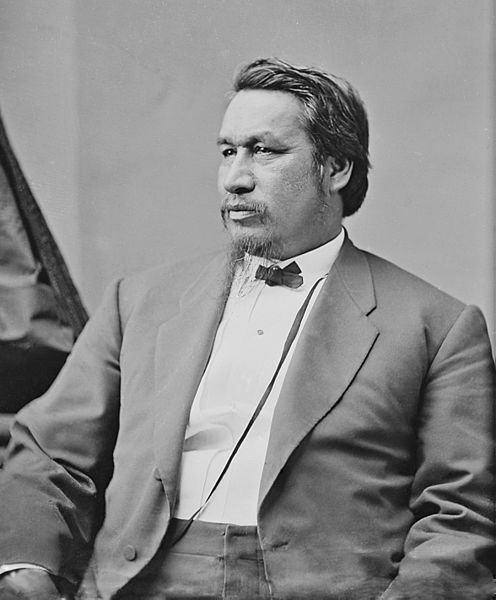 Ely Parker was a member of the Southern Treaty Commission that renegotiated treaties with Indian Tribes that sided with the Confederacy. Parker resigned from the army with the brevet rank of brigadier general. When Ulysses S. Grant took office as President of the United States, he appointed Parker as Commissioner of Indian Affairs. Carrying out President Grant's Indian Peace Policy, Parker worked to reduce the number of military actions against Indians in the West. Ely Parker suffered from ill health in the last years of his life and died on August 30, 1895, at his country house in Fairfield, Conn. He was buried with full military honors at Oak Lawn Cemetery in Fairfield but, in 1897, he was reinterred at Forest Lawn Cemetery in Buffalo, N.Y.